It's 2017, and I think it's safe to say I am late to the "Micellar Cleansing Water" party, but I guess better late than never right lol. 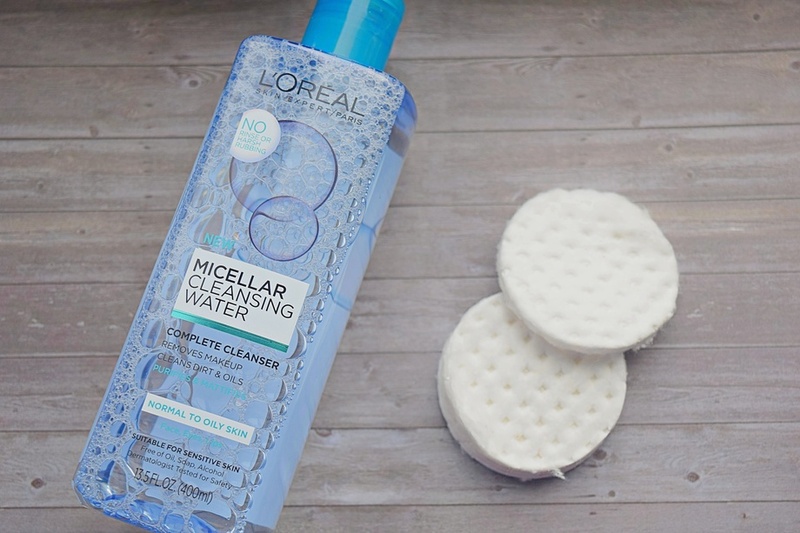 Micellar Water was the "IT" beauty product for 2016 and after reading blog after blog; with some blogs giving great reviews and other blogs not so great reviews, I was excited to finally try out this gem for myself. Micellar Water is powered by tiny micelle molecules in water (small balls of cleansing oil molecules) that cluster together to attract and lift away impurities and makeup without harsh rubbing and without drying the skin. *Fun Fact: Did you know that Micellar water has been around for over a hundred years, first gaining popularity in France, where it was designed to help deal with the harsh water supply? Before using Micellar Water, I always used my trusted and raved about Makeup Remover by Neutrogena Naturals which I still use interchangeably with the Micellar Water. So here is what happened; I came home after a long day out with a full face of makeup and excited to try the Micellar water for the first time, not knowing what to expect. I soaked my cotton pad with a generous amount of my L'OREAL Micellar Water and started cleansing the right side of my face, from the inside out. I kept wiping and realized my makeup was coming off so effortlessly, all I could say was "wow, wow this is amazing." I proceeded to use a second cotton pad soaked with the Micellar water just to be sure I got everything off including my eye make. My goodness, that was the fastest and mess free makeup removal session. ever. Just to be triple sure, I used my Neutrogena Naturals makeup removal, and the suds and water were clear, no makeup. Jackpot!! The Micellar Water had done its job; I was very impressed. 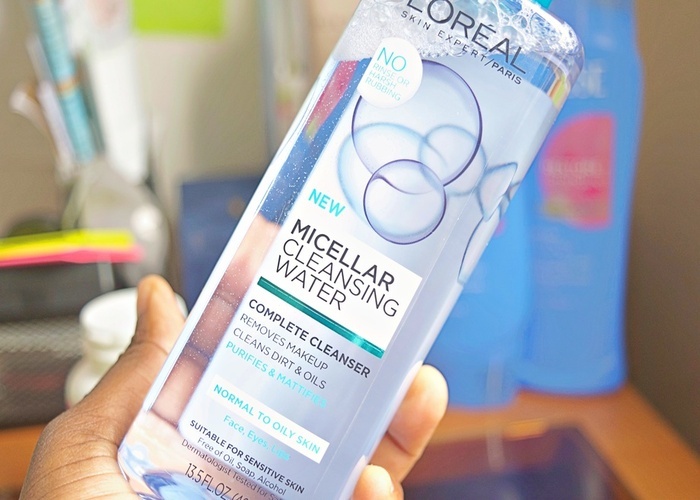 This L'OREAL Micellar Water is a keeper for sure. Do remove your makeup with Micellar Water? I love micellar waters. Even my dermatologist recommended that i use one ! right one i am using the bioderma. i want to try the l'oreal one too. You will love the L'OREAL Claire. I didn't know L'oreal made this too, now I'm tempted to try it out! Haha Katherine, You will love it. I've also been using the Bioderma Sensibio for years and have heard a lot of good reviews about this one. After reading your review I can't wait to get my hands on this product and try it! Hi Love, I am sure you will love the L'OREAL brand. Oh, good to know.. will definitely give it a try. Taislany If you do, please let me know how you like it.